Lisbon - the most western capital in Europe, which is located on the Atlantic coast. Annually Lisbon shelters millions of foreign tourists. And many of them do not mind to buy properties in Lisbon. If you dream of your own, even a small apartment on the shore of the ocean - now is the time to realize this dream into reality! After all, prices in the local market are still far from pre-crisis peak elevations, and the best deals can be found both from the owner and the builder! Lisbon - not only the center of a beach holiday in Portugal, but also a very beautiful city. Even despite the fact that in 1755 due to a strong earthquake the city was severely damaged, it was very quickly restored. On almost every corner you can enjoy the magnificent castles, majestic cathedrals and various architectural monuments. 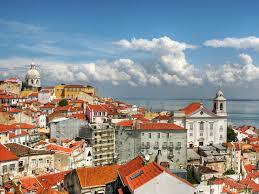 But the owners of property in Lisbon can enjoy not only this. Hiking - this is what you can do not only in the summer, but also in any other time of the year in Lisbon. This is the only way to sink into the town atmosphere and the history of this fascinating city. Lisbon’s port in the mouth of the Tagus River - one of the most important in the Atlantic Ocean. The city is not just a tourist destination, but also an important economic and political center of Europe. That is why the residential and commercial areas in Lisbon are very popular among businessmen who are either expanding, or open a new business in this city. Besides, Lisbon - the preferred city for those who decide to change their place of residence and move to a sunny Portugal. And, of course, the first step to this is to buy a home in Lisbon. Those who have bought or plan to buy a home in Lisbon will always win. Even if the purpose of the purchase is not the development of business in this city, or moving to a permanent place of residence in the capital of Portugal, the owners of the so-called vacation houses can derive very large profits. On the one hand, they are effectively protecting their free capital, making a long-term investment in liquid European housing. On the other hand, they spend their holidays at the sea much more economically. Moreover, homeowners in Lisbon can rent out their properties and get a steady extra income during their absence from the country.